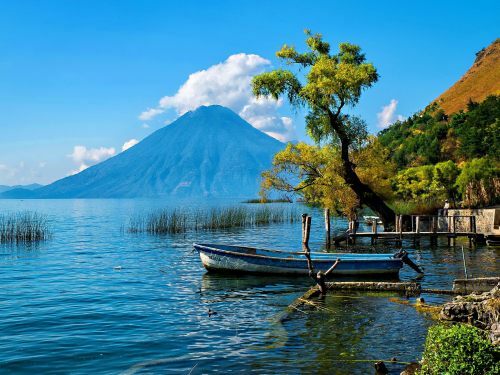 Aeromexico has dropped the price of their flights from Montreal to Guatemala down to $234 CAD roundtrip including taxes! 2. Click on the departure date box to open up the calendar view, and browse for date combinations that are $426 CAD roundtrip including taxes. .. depart on a Monday, Wednesday, or Friday. ... return on a Monday, Wednesday, or Friday. If you're having trouble finding flights with a reasonable layover time, try adjusting your dates slightly. 5. Click through from Skyscanner or Momondo.ca to the booking site showing the cheap flight price. montreal, yul, flight deals, central america, aeromexico, guatemala, gua and guatemala city. 3 Responses to "Montreal to Guatemala - $234 CAD roundtrip including taxes"
I came from Central America. Unfortunately not, this one is long gone.